The buzz of getting exciting hockey has been brewing around the city of Irvine and soon, that buzz will be turning into reality. 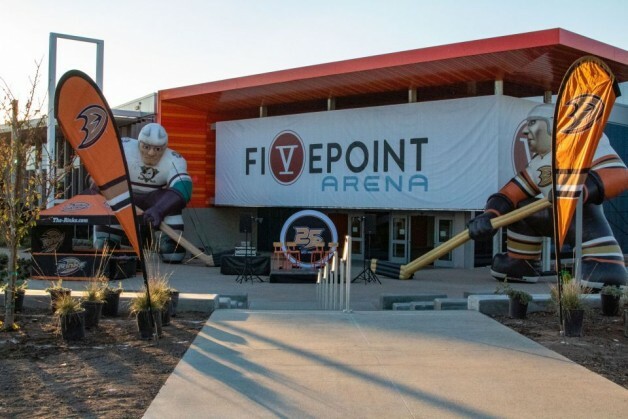 After waiting 687 days since construction began, the community was finally offered its first sneak peek into the gorgeous Great Park ICE & FivePoint Arena when it hosted the NHL Youth Cup West tournament recently. With more than 20 NHL-affiliated AAA youth hockey teams competing in the facility’s first ever tournament, the opened doors not only allowed the public to watch an impressive showing by the Jr. Ducks, who took home championships in the 2005 and 2007 divisions, but it also allowed the public its first glimpse at part of the 280,000 square-foot facility. “It is exciting to be able to watch hockey games in here for the first time,” THE RINKS marketing director Jesse Chatfield said regarding watching the guests’ first experience at Great Park ICE and the 2,500-seat FivePoint Arena. “Even with just the two sheets up and running, the atmosphere is electric. People are in awe as they walk down the lobby before heading into the beautiful FivePoint Arena. Although the facility has opened its doors for certain events, the official grand-opening event is not expected until February at the earliest. At that time, after the remaining two ice sheets and the full-service restaurant, pro shop and Anaheim Ducks team store are finished, it will become the largest ice facility on the West Coast and will also be one of the official practice facilities for the Ducks. In addition to hockey, the facility will also be the home of United States Figure Skating training center and will also be able to host various other sports, including short track speed skating, curling and sled hockey. 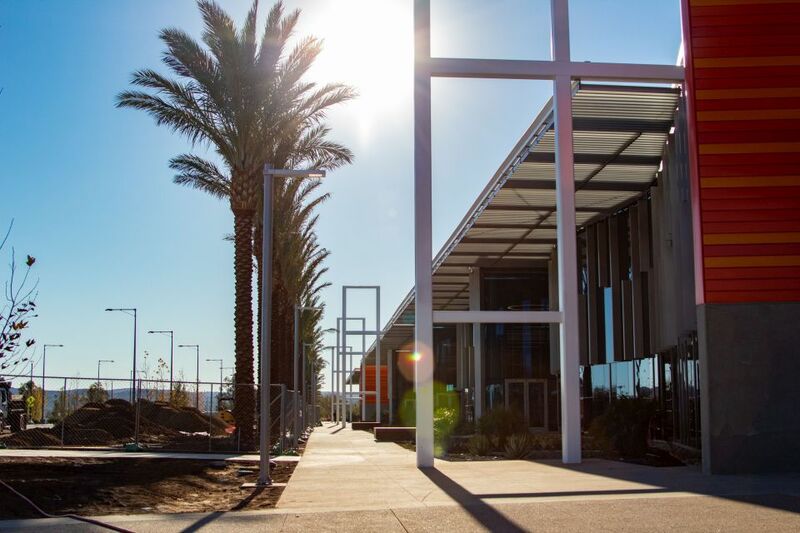 With the grand opening of the building in sight, you can now register for several of the programs happening at Great Park ICE, including the Anaheim Ducks Learn to Play program, youth and adult learn to skate programs and all levels of recreational adult hockey leagues currently available. Guests are also able get their first experience early and skate on one of the four sheets during limited public skating sessions that are now offered throughout the week. For more information or to register for one of the programs mentioned, visit www.greatparkice.com.